We have experienced so much of South America, it is hard to keep straight where we have been, where we are and where we are going. We won’t bore you with too many details, but we had a few places that are too cool not to share with you. 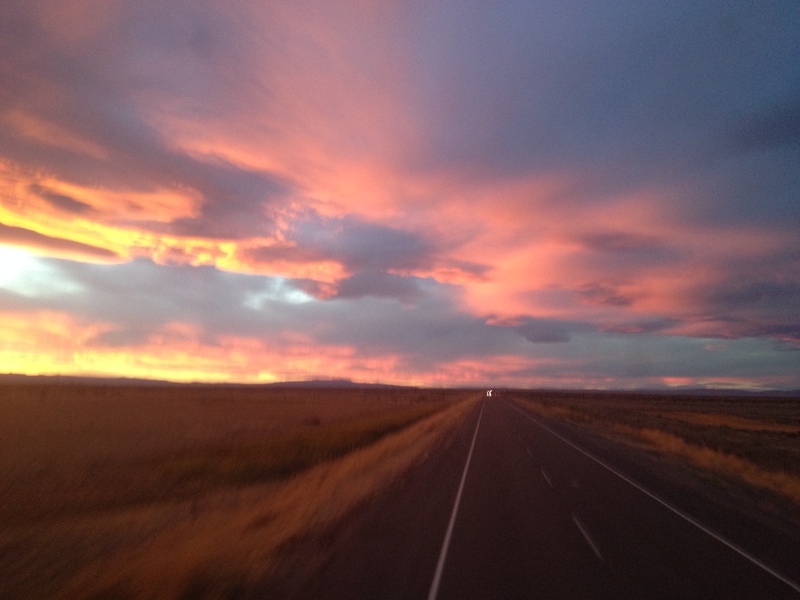 After leaving Bariloche, Argentina (northern part of Patagonia) we hopped on a 30 hour bus to Calafate, Argentina. 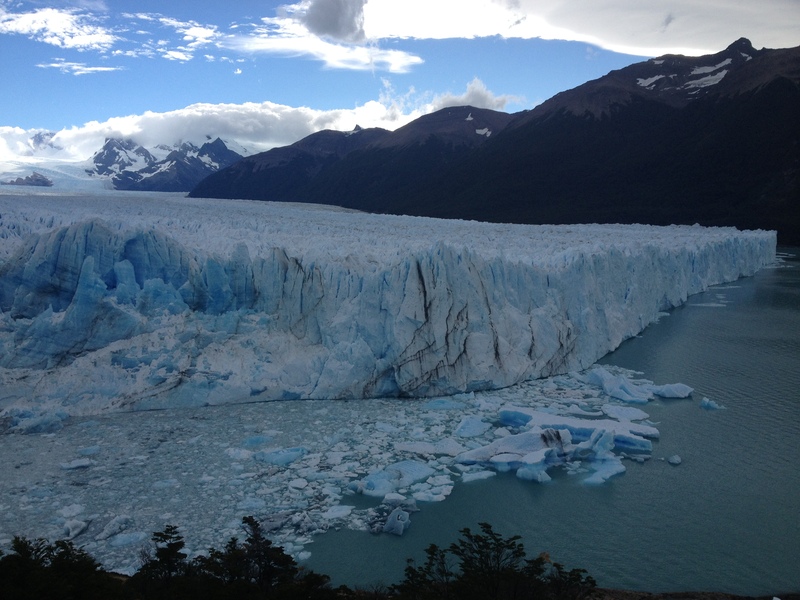 The main attraction in Calafate is a HUGE glacier that you can get quite close to. Now, growing up in Wisconsin, I am no novice to snow and ice but I must admit that seeing this glacier was one of the most amazing things I have ever seen. It is constantly moving so large parts are continually falling from the edges and crashing into the water. We sat for a few hours and watched the glacier. Sounds weird to sit and watch ice, but it was quite interesting. 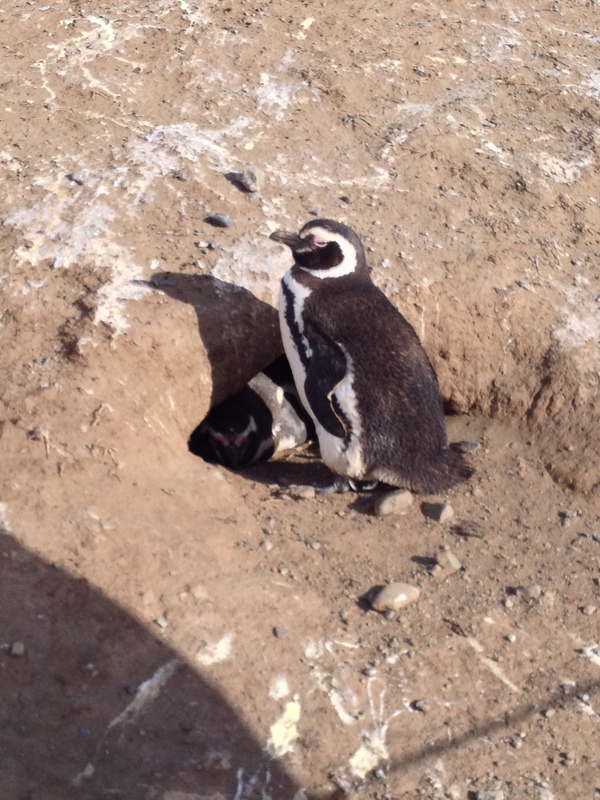 From Calafate, we jumped another bus to a small mountain town, El Chalten. El Chalten is located within a national park and had some great hiking. 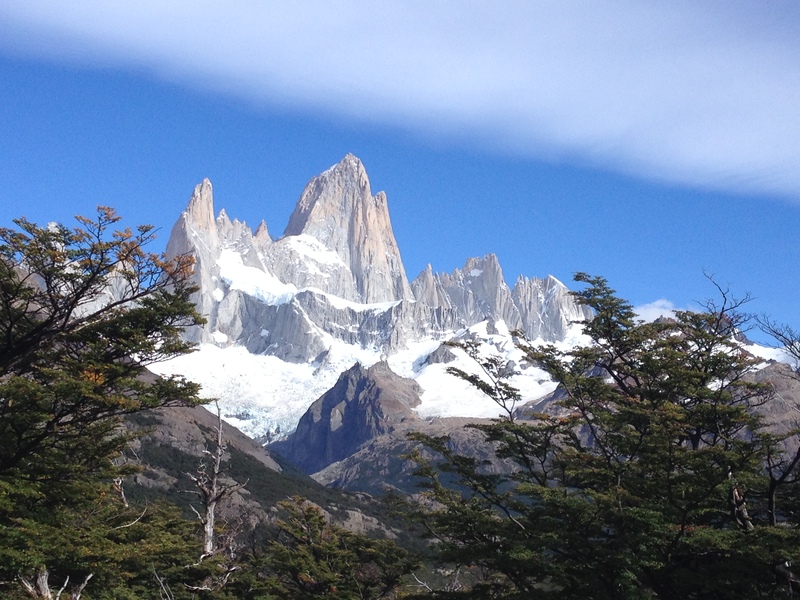 We enjoyed a very strenuous hike up to the base of Mt Fitz Roy. It was a magnificent ascent and the girls received a spontaneous applause at the top by other hikers. (We all enjoyed a huge tub of ice cream at the end of our 17 mile hike that day.). > After leaving El Chalten, we continued our journey to Torres del Paine for a backpacking/camping trip. 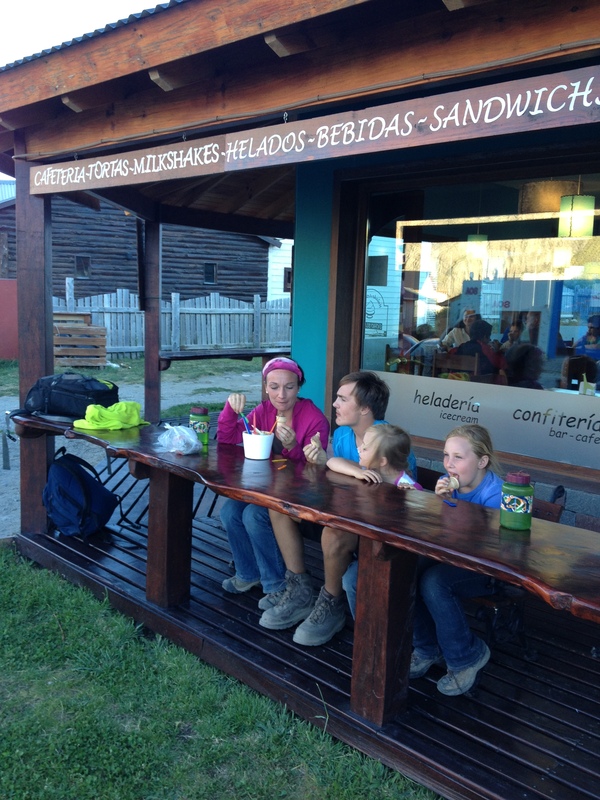 You can read a previous blog (Mission Patagonia: Accomplished) for pictures and details. > We then headed even MORE south to Punta Arenas which is labeled “Chilean Antarica”. It was in the southernmost tip of Chile and felt like ANTARTICA with ferocious winds, sleet and snow. 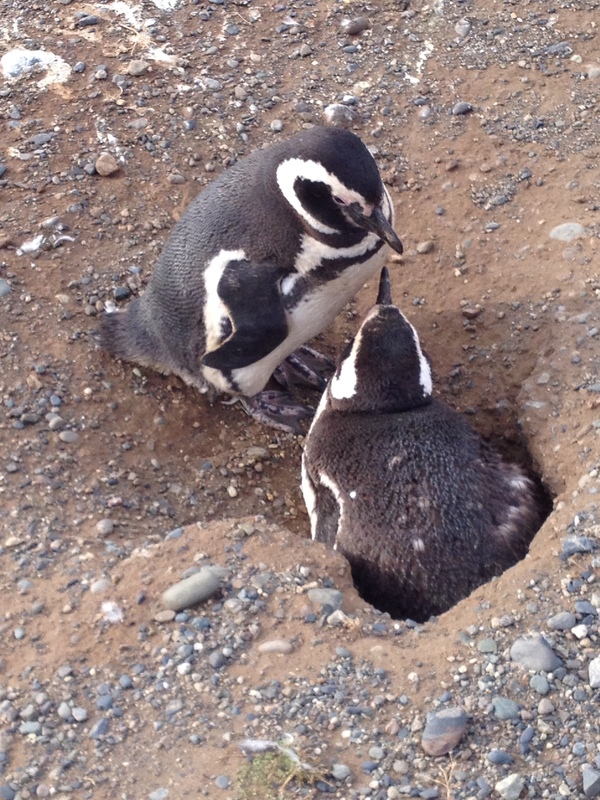 We had the chance to see some penguins and enjoyed feeling a bit of winter (for just a day!). In each location we had the chance to meet other travelers, talk of our journey, hear traveling tips and just enjoy the beauty of creation.